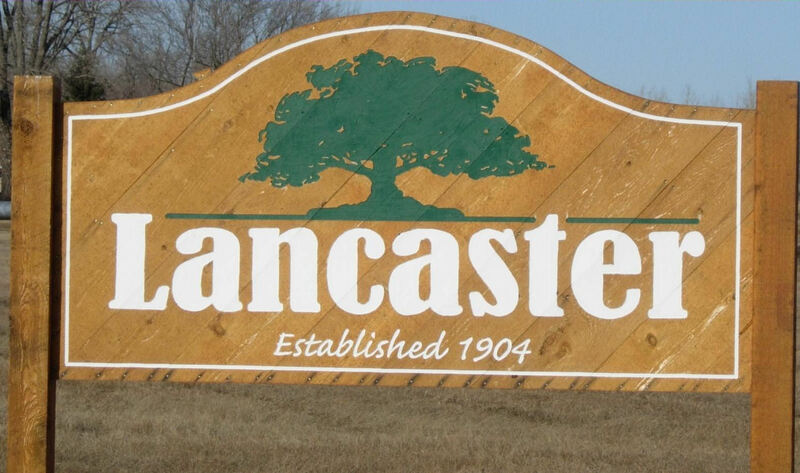 The Lancaster City Council met for its Regular Meeting on Wednesday, March 8, 2017, at 7:00 p.m. in the City Hall Meeting Room. The following members were present: Sebenaler, Bowlin and Nordin. Olson was absent until 7:20PM; Hilman absent. Sebenaler called the meeting to order as Acting Mayor. Nordin moved to approve the Council minutes of the February 8, 2017 regular meeting and Special Meeting Minutes of March 2, 2017, seconded by Bowlin and carried. A copy of the Minutes will be posted at the Lancaster City Hall and U.S. Post Office and available upon request to the clerk. Gordon Dale, City Auditor, attended the meeting to present the 2016 city audit. Dale presented information regarding the city financials and operating procedures and that in general the city is in good financial condition. Nordin moved to accept the audit as presented, seconded by Bowlin and carried. At this time Mayor, Mike Olson was in attendance of the meeting. The council reviewed the March 2017 bills presented this night; any other bills that have been paid prior to this meeting to avoid late payments, receive discounts & meet payroll and all payroll expenses as approved in the 2017 Rates Fees & Appointments Schedule. Sebenaler moved to approve the bills, second by Nordin and carried. An abstract of bills will be posted with the minutes and are available upon request to the clerk. Council set the 1st Quarter Liquor Store Inventory for April 2, 2017 at 2:00PM. MarKit reported the recycling fines of $454.50 charged to the city for 2016; the fines for 205 were $598.50. Keith & Dana Wojciechowski met with the council to discuss sponsoring Wojo’s Rodeo for and event in either June or August. Bulls and Bronc riding would be at the cost of $2,000.00 or a full rodeo would be $5,000.00. The council tabled the matter until other interested parties could be contacted to see if they would be interested in an August rodeo. Airborne Mosquito Control requested that the city enter into a mosquito spraying agreement in order for them to have their spray permits in place for summer mosquito control. There is no commitment for number of applications only a quoted price and permitted area, so no cost to the city unless spraying is needed. Nordin moved to allow the Mayor and Clerk to sign the agreement, second by Bowlin and carried. Council also reviewed Council reviewed the March 2017 City and Liquor Store financial information. Clerk presented information regarding status of the housing rehab grant. Applications have been taken; some projects have been bid out at this time. Debbie Groves, cleaning person at Community Center requests that a water softener be installed at the community center. Nordin will get an estimate. Groves also requests that the walls of the community center be painted or wood be installed for easier maintenance. Nordin suggested just paint and chair rail be used as wood costs a lot more and will show wear and tear. Council directed that Groves obtain paint quotes for the upper and lower wall section. Bowlin moved to accept the St. Patrick’s & Holy Rosary Bingo Permit application for April 22, 2017, second by Sebenaler and carried. Kittson County Ambulance requests support for the service it provides to city residents. Sebenaler moved to make a $100 appropriation to the ambulance service, second by Nordin and carried.